Founded in 1974 with one mission: “to design and manufacture tools that knife users would be proud to own, carry, and use”. Kershaw offers everything from an EDC, automatics, multi-function tools to outdoor/fishing/hunting knives. Premium material, manufacturing and craftsmanship goes into each Kershaw piece to give the customer a lifetime of performance and be proud to own one of these pieces. Kershaw has won many industry awards and are backed with a limited lifetime warranty. This is a high quality kitchen cutlery line from Kershaw. This is the Wasabi 5-piece block set. It has an 11-slot slimline bamboo storage block. This is a high quality kitchen cutlery line from Kershaw. This is the Luna 6-piece block set. It has a 6-slot slimline block, featuring a 3.5″ paring, a 4″ citrus, a 6″ utility, an 8″ chef’s knife, and a 9″ combination honing steel. Kershaw 7006CU Natrix Copper Kershaw knives are at a phenomenal price point and are made to be used! We have waited a while for this model and we have limited stock! Kershaw knives are built to be used and are at a great price point! This Secret Agent fixed blade knife is a great value for a fixed blade. 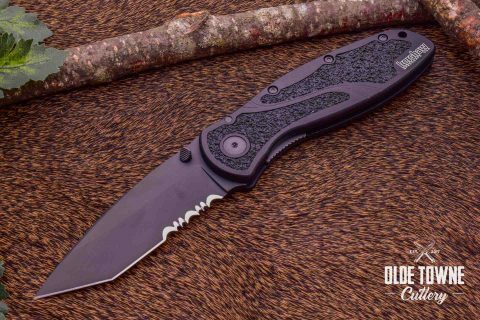 It would be a great pick for a hunting/outdoor knife featuring a black rubberized GRN handle with black finish 8Cr13MoV stainless spear 4.38″ point blade and an overall length of 8.75″. Kershaw HT7074 12″ Slicing Brisket has an overall length of 17.25″. 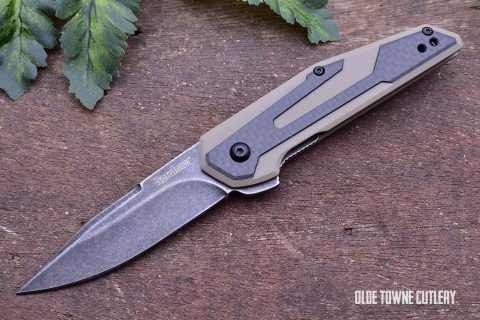 Kershaw 8700TEALBW Shuffle Teal Linerlock Blackwash This awesome little knife is packed with features including a black washed stainelss steel blade, bottle opener and a pry tool/screw driver. 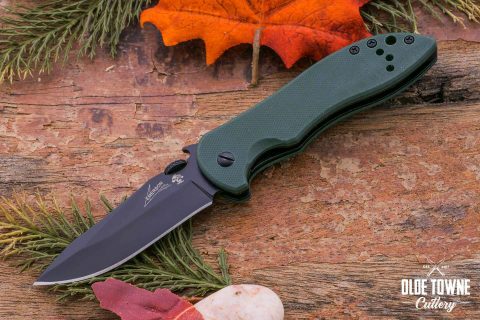 The attractive teal handle is textured for better grip and the 2.3″ drop point blad deploys with thumb studs and lock via a liner lock mechanism. Kershaw 1670NBSW Blur Navy Blue A/O The blur is designed by Ken Onion and built in the USA by Kershaw and is an absolute work horse of an EDC knife. Featuring a 3.4″ drop point blade and Kershaw’s speed safe technolog. The anodized aluminum blue handles feature Trac-tec inserts for superb grip. 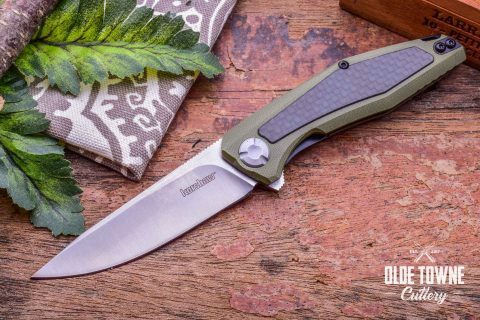 Based on a popular Zero Tolerance design, the Natrix features speed safe assisted opening, a 3.25″ blade 3d machined OD green handle scales and Kershaw’s excellent sub frame lock with a tip up reversible pocket clip. 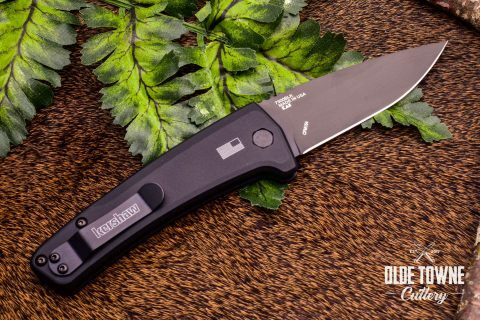 The scallion is an excellent little pocket knife featuring the lightening fast speed assist technology, 2.4″ blade of 420 HC steel and black plastic handle scales. 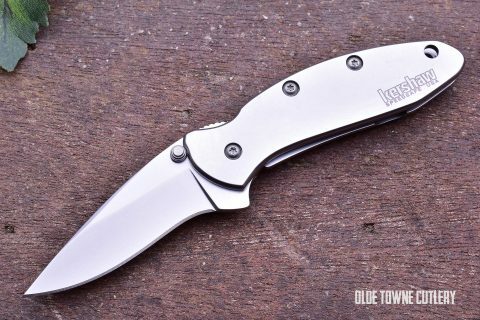 Kershaw 7007BLU Natrix A/O Sub-Frame Lock Knife Blue G-10 Kershaw’s sub frame lock, deep carry pocket clip, amazing flipping action, blue 3d machined G-10. Ultra light weight and budget friendly! 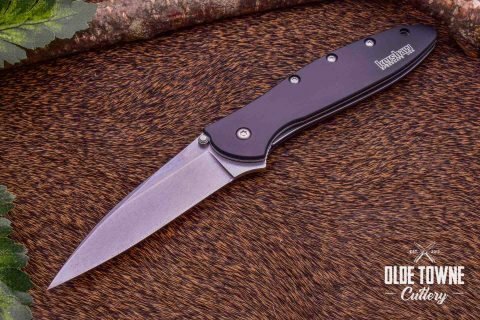 The purple shuffle is a great looking small knife packed with features. Bottle opener, screw driver/pry tool and black washed blade with a deep carry pocket clip. 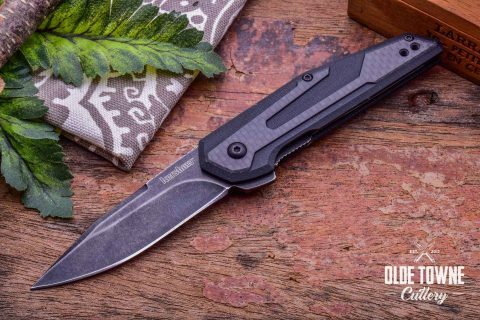 The Leek is sleek, thin and fast with speed safe assisted opening and a flipper tab. The right hand tip up/down pocket clip make this a breeze to carry. 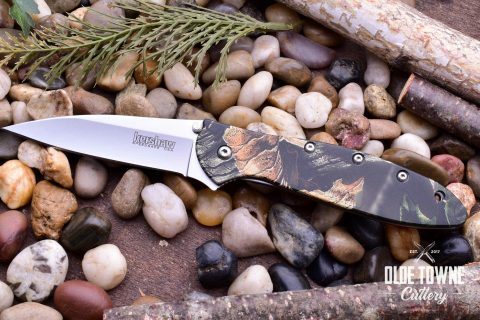 This model sports anodized aluminum camo scales and a 3″ warncliff style blade of high quality 14C28N stainless steel. The Shuffle is packed with function! 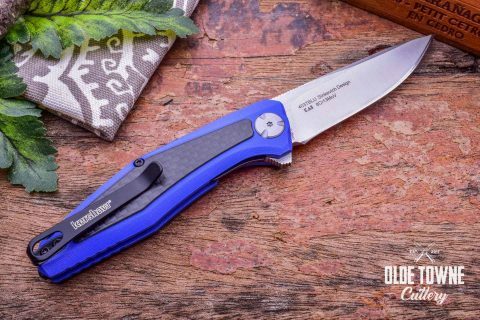 The back spacer doubles as a bottle opener, the lanyard hole has a screw driver/pry tip, the 2.4″ 8CR13MOV stainless steel drop point blade is held by a sturdy liner lock and the tip up reversible deep carry pocket clip helps stash this little gem anywhere. The Scallion is small and fast. Designed by Ken Onion, this is a little EDC gem. 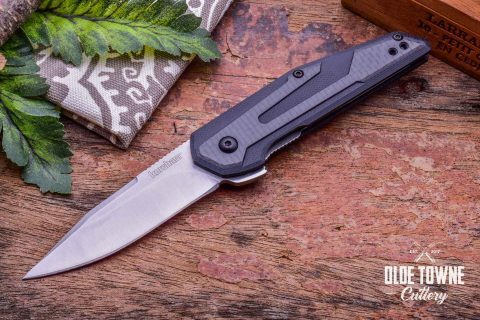 Featuring a 2.4″ 420 HC stainless steel blade, Kershaw’s speed safe assisted technology, black glass reinforced nylon handle scales and a sturdy liner lock, there’s not much around the house or office that this little blade can’t tackle. The sleek, iconic Leek has received the full on black out treatment! 3″ 14C28N sandvik stainless steel, speedsafe technology and a scant 3 Oz. weight. Big brother to the Cryo, this Hinderer design features an all steel frame with lock bar stabilizer, four way reversible pocket clip, 3.25 8CR13MOV stainless steel black coated blade and Kershaw’s speed safe assisted opening technology. The Launch 4 is a fantastic little knife. 1.95″ CPM154 steel, black coated blade 5.1″ OAL, 1.98 Oz. Very cool little automatic Made in the USA! Kershaw 1660CKT Leek. This assisted opening framelock has a 14C28N Sandvik stainless steel blade. 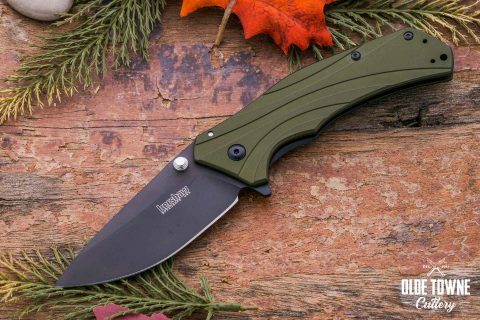 The Kershaw 1870OLBLK Knockout has a OD Green aluminium handle and a blade length of 3.25″. Made in the USA! Full size speed assist sub frame lock from Kershaw. 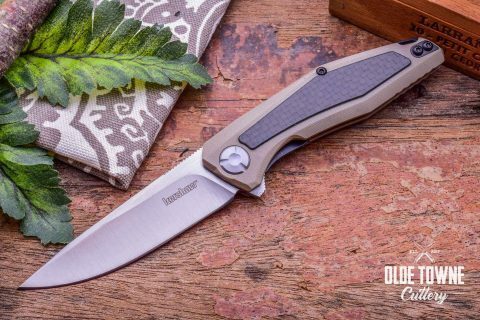 The Kershaw 1160TAN Fraxion has a tan G10 handle with carbon fiber inlay and a closed length of 4″. The Kershaw 1600 Chive Silver handle has a bead blast finish 2Cr13 stainless handle and a closed length of 2.88″. 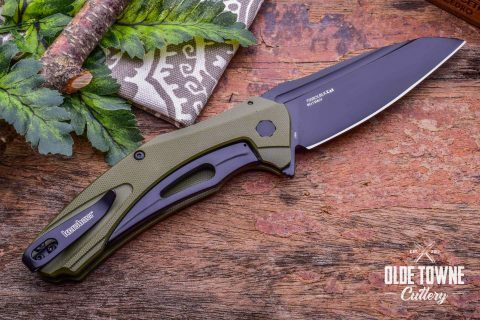 The Kershaw 1160OLBW Fraxion Green Black Blade has a OD green G10 handle with carbon fiber inlay and a closed length of 4″. 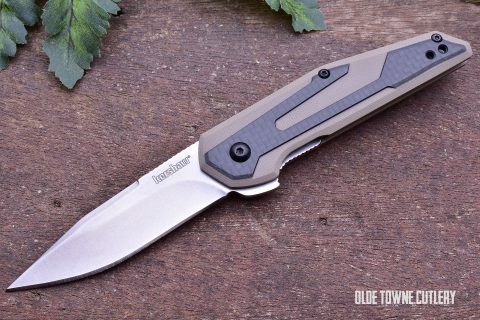 The Kershaw 1160TANBW Fraxion has a Tan G10 handle with carbon fiber inlay and a closed length of 4″. Kershaw Blur featuring a 3.4″ black DLC coated drop point 14C28N stainless steel blade, Kershaw’s speed safe assisted opening technology and a anodized black aluminum handle with trac tec inserts for superb grip in any environment. The Kershaw 7300BLK Launch 3 is a great automatic folding knife and has 6061-T6 anodized aluminum handle and a closed length of 4.4”. The Kershaw 1660SWBLK Leek Black has a black anodized aluminum handle and a closed length of 4″. The Kershaw 1670TBLKST Blur Black has a black anodized aluminum handle with black Trac-Tec insert and a closed length of 5″. 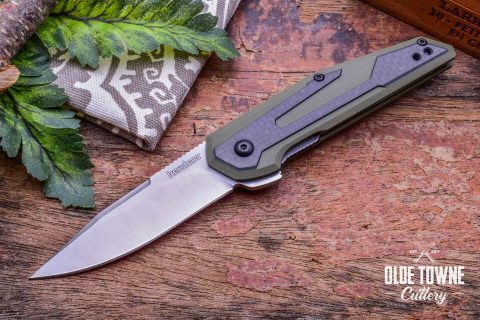 The Kershaw 1160OL Fraxion has a OD green G10 handle with carbon fiber inlay and a closed length of 4″. The Kershaw 70080LBLK Natrix – XL has a green G-10 handle with a carbon fiber inlay and its closed length is 5″. 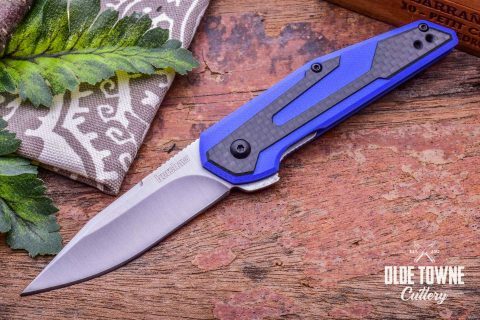 The Kershaw 1160BLUBW Fraxion has a blue G10 handle with carbon fiber inlay and a closed length of 4″. 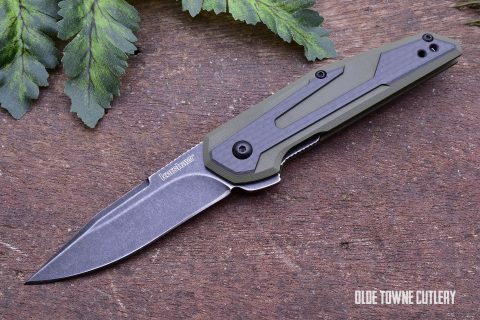 The Kershaw 1160SAT Fraxion has a black G10 handle with a carbon fiber inlay and a closed length of 4″. 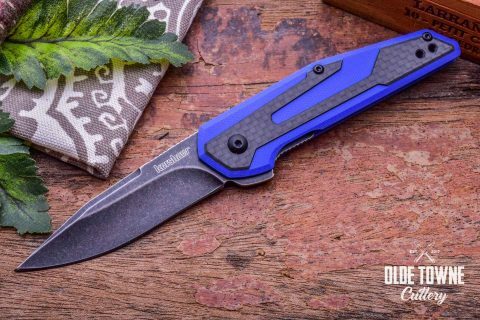 The Kershaw 4037BLU Atmos Blue has a blue G-10 handle with a carbon fiber inlay and its closed length is 4″. 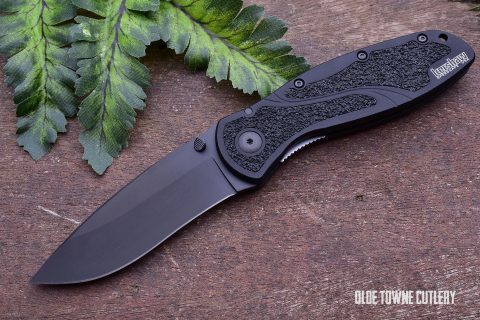 The Kershaw 1160 Fraxion has a black G10 handle and a closed length of 4″. 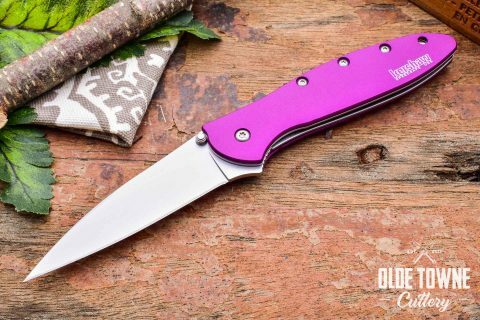 Kershaw 1660PUR Leek Purple speed safe assisted 3″ 14C28N stainless steel warncliff blade, purple anodized aluminum scales 2.5Oz. weight. Kershaw 60740LBLK CQC-5K small tactical folder 3″ 8CR13MOV blade emerson wave and thumb disk. 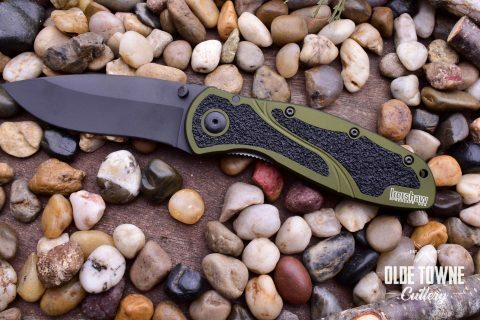 pocket clip green G-10 with frame lock black coated blade.